Right next door to the Great Barrier Reef, one of the last truly untouched underwater environments is struggling. A lack of protection and a society that thrives on a throwaway culture is contributing to the destruction of the Coral Sea, and a recent expedition to the area has helped shine a light on this. 400 kilometers off the coast of Australia and beyond the Great Barrier Reef lies an underwater wonderland so vibrant and untouched it looks like something from another planet. Underwater mountains that rise for thousands of metres from the oceans floor form the spectacular reefs that make up the Coral Sea. Here on this remote chain of reefs, fish populations can thrive. 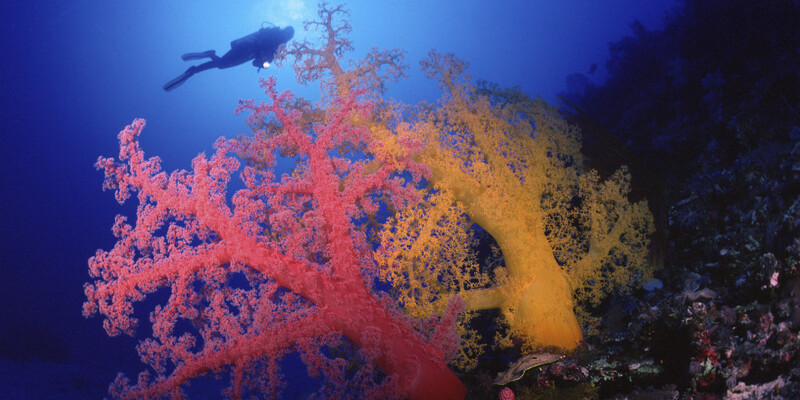 [Image Caption] Brilliantly coloured soft corals cover the sheer reef walls in the Coral Sea. Image by Mark Spencer. 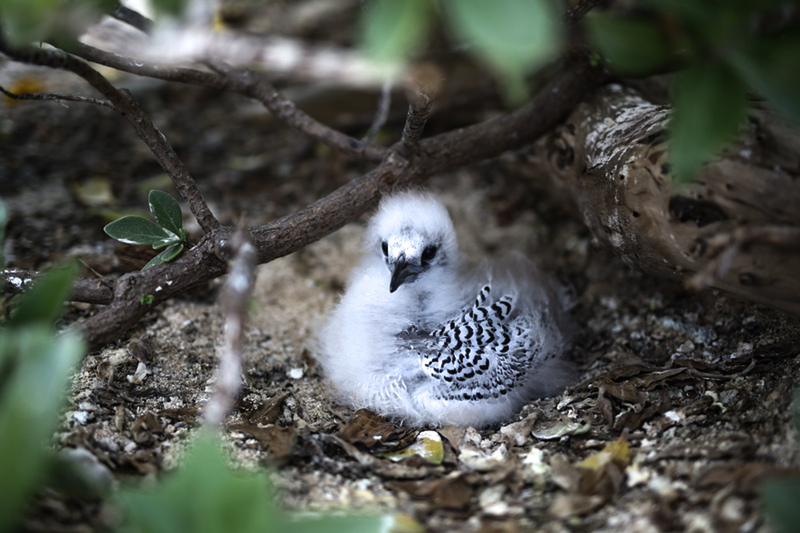 The list of species that can be found in the Coral Sea is seemingly never-ending, and the network of islands within provides nesting sites for the green sea turtle and a huge variety of sea birds. It is a truly special place, bursting with diversity and life. If the Great Barrier Reef is Australia's national treasure, then the Coral Sea is the jewel in Australia's crown. Globally, we have seen the demise of coral reefs happen at an astonishing rate. Coral reefs only make up a mere 1% of our ocean; yet support a quarter of all marine life. Around two-thirds of coral reefs globally are dead or dying, and 90% of the large fish species that inhabited them have disappeared. The ocean in general seems to be a punching bag for a vast array of issues, being continuously hit with the devastating effects of overfishing, climate change and plastic pollution. Coral sea clean up a "real slap in the face". Recently staff and volunteers from Parks Australia, Tangaroa Blue, Surfrider Foundation and Take 3 embarked on a 12-day expedition to the Coral Sea. The aim of the 'Great Coral Sea Clean Up' was to collect data on the levels of plastic pollution within the Sea and clean the picturesque islands dotted throughout the area. Given the remoteness of the Coral Sea, Andy Gray, a representative from Surfrider Foundation, expected to find the odd bit of flotsam and jetsam bobbing around. Unfortunately, Andy's expectations were a pipe dream from the reality of what the team came across. Andy explained that at first he felt triumphant that he was removing one-off discarded items on such remote parts of Australia, attributing the amount of plastic he was finding to that particular islet. However, after a few days of scouring these islands the novelty of finding plastic in obscure places quickly began to wear off, and the realities of the extent of our impact on the environment set in. Andy described the amount of plastic and debris the team was finding as a "real slap in the face," and that in an area so untouched and remote it was devastating to so obviously see the effects of plastic pollution. "It's one thing to hear about the issues of plastic pollution, with figures and numbers and images about dead birds, but to see the impacts first hand, to see birds nests that have toothbrushes, rope and microplastics inside it was something that you can't actually prepare yourself for." Most of us have seen heartbreaking images of sea-birds with carcasses clogged with plastic fragments online, but Andy explained that the issue runs much deeper than 'the loss of a few birds'. The clean up expedition showed Andy first hand that human development, progression and the pursuit of consumer convenience comes with a serious price. Rubbish out of sight, but not out of mind. By the 8th day of the trip, the team had filled two giant holds of one of their vessels with collected rubbish. 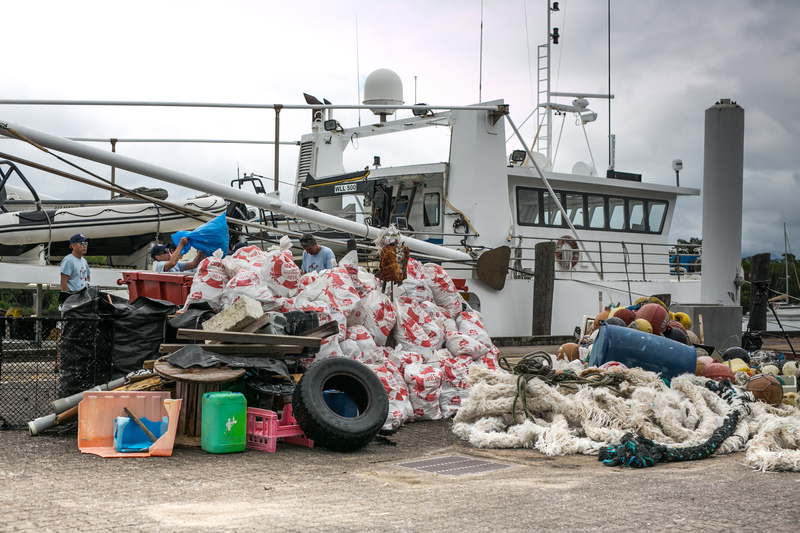 "It's the same old culprits every time we step ashore: plastic bottles, plastic lids, containers, fishing and shipping debris, rope/ net and an abundance of broken down plastic pieces," Tim Silverwood, co-founder of Take 3 explained via Instagram. The expedition returned with over 2.2 tonnes of rubbish, including a bar fridge, a kids toy piano and an incredible amount of discarded fishing line. 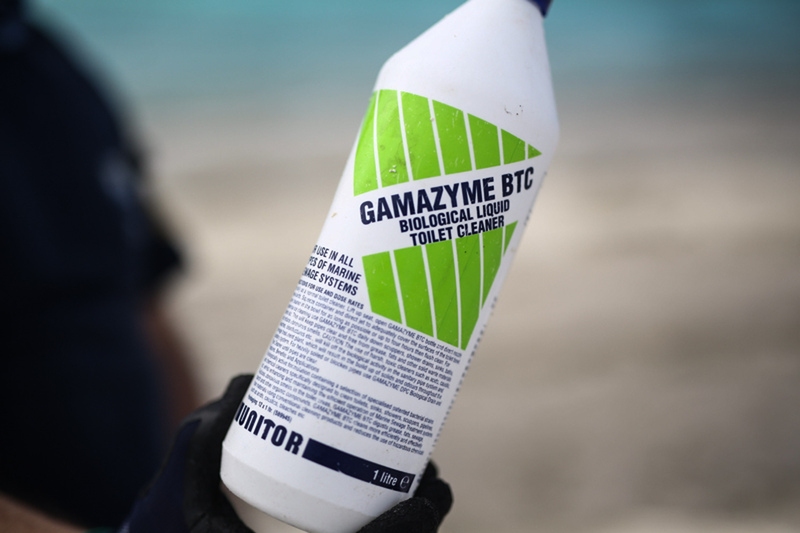 The team believes they removed around 90% of the large plastics in the marine reserve, which minimizes the risk of the pieces breaking down and being ingested by marine life. However such an enormous amount of human-produced debris collected in an area hundreds of kilometres offshore shows just how far our penchant for single-use plastic truly reaches. [Image Caption] The enormous haul of rubbish brought back to shore by the expedition team members. We need to connect our consumer behaviour with its consequences on the natural world, and make this connection fast. The straw you slurp a milkshake with could end up on a remote coral cay, hundreds of kilometres off shore. That plastic bag you used to bring home your groceries could end up in the belly of a threatened species of turtle. Evidently, if we want to conserve our oceans and the few remaining unspoiled places like the Coral Sea, out of sight should not mean out of mind. Start with the basics. Reduce your single use-plastic use, beginning with bags, water-bottles, coffee cups and straws. Take 3 for the sea. Simply take 3 pieces of rubbish with you every time you leave the beach, park, anywhere! Get involved with a beach clean in your local area! Tangaroa Blue and Surfrider actively organize beach cleans Australia wide. Start your very own community movement to ditch straws or plastic bags. Explain to your friends and family the impact of plastic on our precious marine life. Education is inspiration for many to live a more planet-friendly lifestyle!